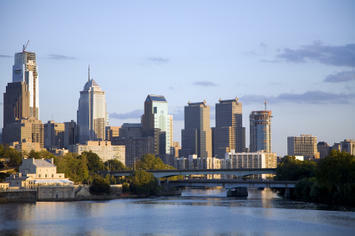 But facts are facts: Philadelphia’s population has dropped 4.5 percent. This ranks it first among the top-25 U.S. cities in population loss from 2000-2007. This data causes you to pause and rethink the real impact of major public investments in the city spurred on by a governor who is the city’s former two-term mayor. For one, gambling was supposed to bring good jobs to the city. The two winning bidders each created projects on the Delaware River, but these projects are stuck in a protracted political battle and their fate at these riverfront locations is uncertain along with the thousands of jobs they have promised. Part of the problem for the casinos is that a new vision has been created for the Delaware Riverfront. The Penn Praxis plan envisions recreation and greenways, not gambling for this area of the city. As a result, the gaming interests are being asked to consider building somewhere else within the city. There is also the Pennsylvania Convention Center. The first phase was built into the old Reading Railroad terminal on east Market Street. Supporters contend that it has spurred a hotel and restaurant boom in the city and there is validity to this position. But work rules issues have plagued the center since its inception. The result has been that most convention groups have chosen not to return because of arcane union rules that made it beyond difficult to do simple things like set up a booth or get electric power to a display. Negotiations have brought some relief, but problems remain to be solved. Despite these problems the convention center is now slated to expand about two blocks west of its current location. The costs have escalated dramatically and now exceed $800 million . This is an increase of nearly $100 million since the deal to move forward was approved and buildings were condemned and razed. On July 12, Governor Rendell hinted that he was having second thoughts about the viability of the expanded center when he said that the center is “getting to the point where the cost will outweigh the benefit." These remarks were made while the governor was signing legislation that would increase the taxes on a hotel room in Philadelphia by more than 15 percent to pay for tourism promotion and the convention center. Public dollars have also helped to fund a new football and baseball stadium in South Philadelphia. Citizens Bank Park is a real gem of a baseball stadium – a fun family entertainment venue where the Philadelphia Phillies play 82 games a year. Across the street is Lincoln Financial Field where the Philadelphia Eagles play their games as well as Temple University. There are only 20 – 25 games played there each year. The Phillies stadium cost $458 million and the Eagles complex $512 million, most of which came from public investment. What has been the economic impact of this investment? Has the neighborhood been revitalized by this investment? The short answer is no. They are basically commuter stadiums where fans come, see, and go. Over the years billions of dollars has been invested in tourism and entertainment projects and the results are clear: the projects required more dollars than originally thought and the promises of profound economic benefits have never materialized as expected. Philadelphia is a lot more fun than it was 20 years ago, but its economy remains stagnant and its core population continues to leave to find opportunity elsewhere. There is also another trend resulting from this kind of pubic investment. The more public money that is poured into a region the more taxes and fees follow. Erie has the Bayfront Convention Center at $44 million and funded it with a new five percent hotel room tax. The Altoona region has Blair County Convention Center & Sports Facility Authority a $50 million project funded with $48 million in federal and state grants. The City of York invested economic and political capital in securing a $28 million revenue bond to fund a minor league baseball stadium. The City of Chester just was awarded a soccer franchise and is planning a new stadium to go along with the new casino as core projects to revitalize its economy. When we look back at the billions of dollars that has been spent on these projects and the results, you are left to wonder whether or not these dollars could have been spent more wisely in other areas to build an economy on sturdier foundation. The results have not been encouraging. Population growth in Pennsylvania between April 2000 and July 2006 was a mere 1.3 percent. Private non-farm employment decreased 0.1 percent according to the U.S. Census Bureau. Pennsylvania’s senior population continues to be among the highest in the nation at 15.2 percent in 2006. Philadelphia lagged behind the national average of the percent of the population with a bachelor’s degree by 4.5 percentage points in 2000; Pittsburgh’s mean household income was nearly $12,000 below the national average. None of the major cities in Pennsylvania gained population during the early years of this century. Meanwhile there is a very different story in suburban and rural counties. Montgomery County’s population grew at a rate nearly three times that of the State of Pennsylvania and Bucks County grew by nearly four times. In Berks County, the next county beyond Philadelphia’s four suburban collar counties, population growth was a healthy 7.4 percent and household income exceeded the national average. In rural Monroe County, located outside of Wilkes-Barre, population spiked by nearly 20 percent over six years while in Pike County, northeast of Scranton, we saw staggering growth of 25.7 percent and household income exceeding the national average. The people of Pennsylvania want what every other American wants for their families: a nice home, good schools, quality government services and a safe community. They are abandoning cities because they cannot keep this promise to their middle-income wage earners. However, they are finding what they want in Pennsylvania’s first and second ring suburbs and in rural communities that don’t invest in stadiums, convention centers or entertainment to build their economies. Instead these communities provide a quality of life that attracts people and the jobs are following. An economy built on tourism and entertainment provides very few family wage jobs. These funds would likely be better invested in quality of life and infrastructure in order to create high wage, blue collar jobs in the global economy. If not, people will continue to vote with their feet as they look for opportunity beyond the casino, restaurant and tourism industries and a better quality of life outside of cities that are increasingly being viewed as opportunity-free zones.